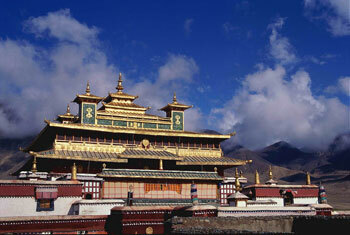 This is one of our most popular itineraries for Lhasa tour. We can See Tibetan Buddhism's most revered religious sites and learn about classical Tibetan architecture while soaking in traditional Tibetan culture around Lhasa. Climb up the Potala Palace and get a great view of Lhasa city witnesses the Buddhism Scriptures Debate between monks in Sera Monastery; stroll along the special circular pilgrimage route and follow the footsteps of pilgrims to witness their devotion; choose some unique Tibetan souvenirs for your families and friends in Barhkor Street. Today is free for you until you are escorted to the airport or train station.